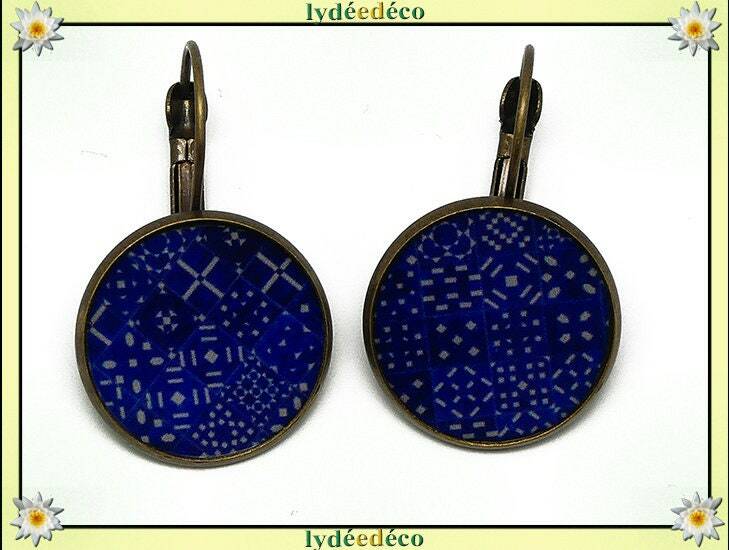 Earrings sleepers spirit retro Azulejos Lisboa Midnight blue white pattern covered with resin, bronze brass, diameter 2cm. Coat of varnish anti allergy for sensitive skin. Fine and elegant, opt for the originality of a passionately hand made jewelry! Resin ☼Les sleepers are available with different illustrations, find them in the shop.